SAFFORD – Last Friday around 7:00 pm, officers were dispatched to a residence on 16th Street in response to a neighbor’s call regarding a woman having been bit by a dog. The reporting party said there was a lot of blood. When authorities arrived at the scene, they found a woman being cared for by several people. She appeared to be in a lot of pain after having been bitten by an American Bulldog. The officer was informed it would take an ambulance an extended amount of time before they could respond, so the officer asked the victim if she would want them to transport her to the hospital, and she agreed. The victim was then transported to Mount Graham Regional Center where she was cared for in the Emergency Room. The Animal Control officer was sent to the residence to detain and transport the bulldog to the dog pound. He and the other officers on the scene prepared themselves with catch poles but found a neighbor had managed to get a leash on the dog to hold it. The officers used their catch poles to load the dog into the truck. An officer went back to the ER to ask the victim what happened. She reported that she had gone to visit her sister, and had telephoned ahead, asking if the dogs were locked up. After being assured that they were, the victim entered the yard carrying her small dog and went to sit down on the porch and wait for her sister. 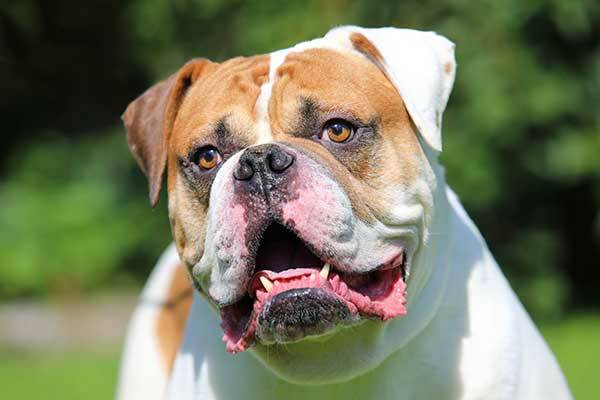 The victim stated she heard the bulldog knock the gate open and she did not have time to react before the bulldog was attacking her and her small dog. The ER staff informed the officer the victim suffered dog bites to her right wrist and forearm, left chest wall, left upper abdomen, left knee and a severe bite to the upper inside of her left thigh area. The owner of the bulldog was informed she would be responsible for all the fees on the dog. The owner reported the bulldog did not have a current rabies shot, and stated she did not want the dog back after the quarantine time.